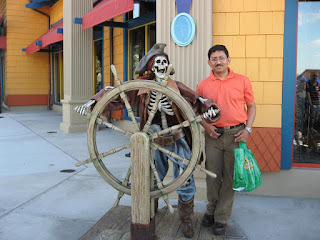 This was my longest vacation at Orlando and quite different from those in the past. First, because we were spending an entire week here, which gave us days to just chill out in our beautiful resort. And second, this was our first time at Disney World with our little one, who was completely, completely excited at being surrounded by characters from her favorite TV shows! Disney's theme parks are among the few places left for squeaky clean fun for the entire family. 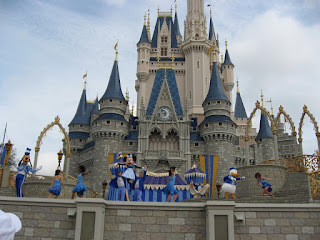 We spent more time at Magic Kingdom than any of the other resorts. My little angel queued up to get pictures with Mickey, Minnie, Donald, Daisy, Ariel, Alladin, and dozens of her favorite characters. As Disney resort guests we were allowed an extra hour in the morning before the gates opened to the regular vistors. This can be a big advantage during peak season when the lines get really long on the most popular rides. The other advantage of staying at a Disney resort is the complimentary transport to all their theme parks which saves time. This was my fourth time at Disney World, but I still come back entertained. I liked the theatrical shows the best: Festival of the Lion King at Animal Kingdom, The Story of the Little Mermaid at Disney MGM Studios, and the more recent Finding Nemo - The Musical also at Animal Kingdom. The 3D movie shows such as It's Tough Being a Bug at the Animal Kingdom and Mickey's PhilarMagic at the Magic Kingdom are a close second. Given my daughter's age, she also liked everything that had Princesses or Winnie-the-Pooh in them. So, what's there to not like in Disney World? Well, crowds, long lines for rides, even longer lines for food, tickets that have gotten even more expensive, and the fact that nothing is free or modestly priced here! Methinks there could be an opportunity to do a SouthWest Airlines in this industry too! However, for those who are willing to splurge, an extensive menu of concierge services ensures that Disney can make any little whim or grand dream happen - for the right price. "Disney World is a place where money talks," said Bob Sehlinger, author of "The Unofficial Guide to Walt Disney World." "There's very little that money can't buy." Resort concierges and Disney event planners have been known to arrange unique moments like a creative marriage proposal on the monorail or an elaborate dinner party in the Haunted Mansion. 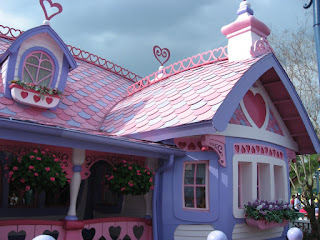 Here's an excellent source for the best in Disney World accomodations and dining.